Home Politics Breaking News – Macron will halt fuel tax rise. Reports are coming in that French President Macron will suspend a fuel tax rise which has led to weeks of protests. 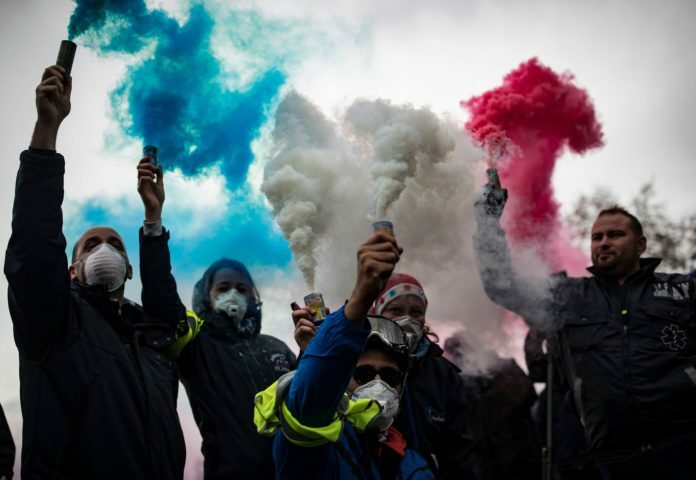 With signs that the French Police, Fire and ambulance service were joining the protests the Government had little choice. These protests have hit major French cities causing large scale damage for the past three weekends. Prime Minister Edouard Philippe sought compromise with the protesters, but they called off talks. The “gilets jaunes” (yellow vests) protests have now grown to reflect more widespread anger at the government. In addition, the protests have now hit other fragmented European countries like Belgium. It would seem president Macron’s rapid rise in popularity will end just as quickly. Previous articleMigration – the new unmentionable subject?